Buy the album direct here for £10 (+ £1.50 p&p). Sam’s solo album, released in 2008. 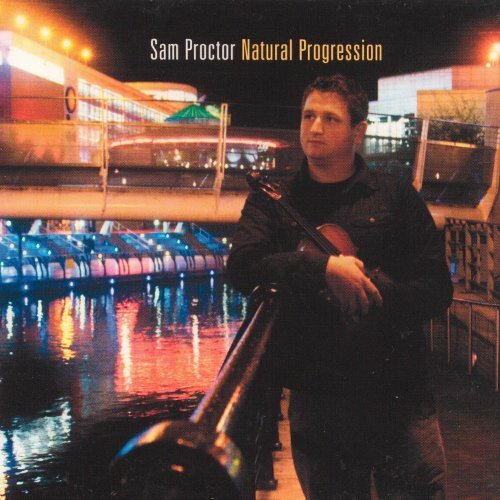 Natural Progression, Sam’s debut solo recording, brings together some of the great musicians he has worked with over the years, and to document repertoire that he’s gathered through years of playing in sessions. Based mainly around Irish music, the album includes a range of traditional and newly composed material, and Sam’s exposure to other musical traditions is also apparent in the inclusion of English, Norwegian and Canadian tunes. Sam has worked with the musicians on the album in various contexts, some he has known since he was a child, including Tim Edey (Lunasa, Michael McGoldrick Trio) and Luke Daniels (De Dannan, Broderick, Riverdance). He met Mike Galvin (Frankie Gavin Band, Niamh Ni Charra) and Chris O’Malley whilst touring with the ‘Spirit of Ireland’ dance show. Brothers Matt and Dan Griffin (Mise) Sam knows through sessions in London and The Herschel Arms. And ofcourse he has known Kate Proctor longer than any of the other musicians! The twins perform the final track on the album, Chloe’s Passion, with Dave Kosky on guitar. Tracks: Mother’s Delight / Fasiken / Natural Progression / Daybreak Polkas / The Castle Jigs / The Flooded Road / Brit In The Liffey / Joe’s / Dandy Dennis / Cous Cous Kiss / Hanley’s Tweed / Chloe’s Passion. Have a listen on Spotify here.